A bright white and shining European-cut diamond (circa 1920s-30s), weighing 2.03 carats, sparkles mightily between diamond-set foliate motif shoulders, in this Lang Collection* original hand fabricated in platinum and accented with milgrain details. 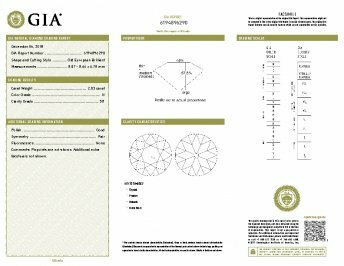 Center stone accompanied by a GIA Diamond Grading Report stating: H color - SI1 clarity. Currently ring size 6. 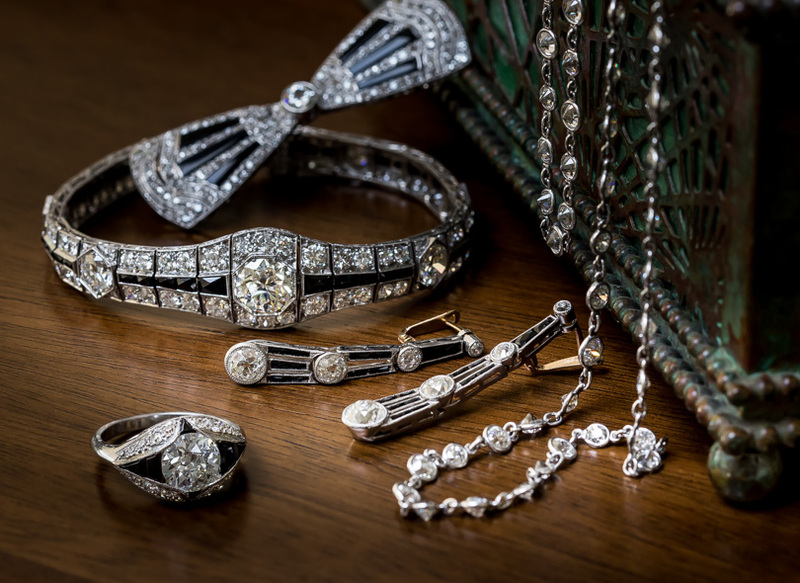 *We have distilled and refined the enduring elegance of early-20th-century styles to newly present original vintage diamonds in our own line of vintage-inspired (in this case classic Art Deco) engagement rings. Carat Weight: 2.03 carat Because mountings prohibit full and accurate observation of gem quality and weight, all data pertaining to mounted gems can be considered as approximate unless accompanied by an independent laboratory certificate (AGL, EGL, GIA). Unless otherwise stated, all colored stones and pearls are assumed to be subject to a relatively stable and possibly undetected color and/or clarity enhancement.